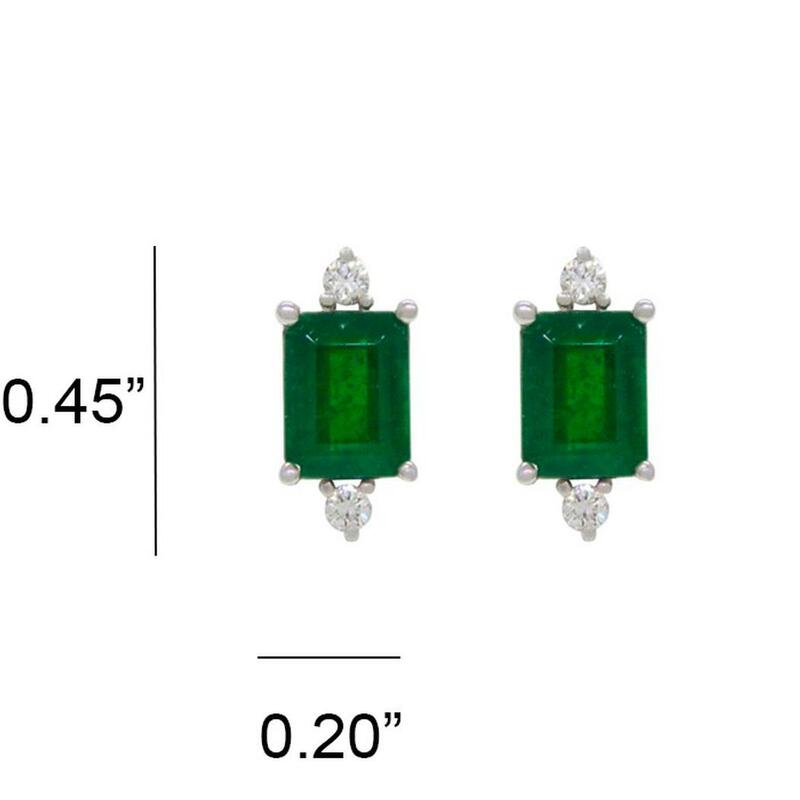 These beautiful emerald and diamond earrings are totally handcrafted in 18K white gold for this wonderful selection of gemstones. The elongated shape of the two emerald cut emeralds and the stunning brilliance of the four round cut diamonds create a very elegant and exquisite look for this set. But is the very dark green color of the emeralds and their fantastic saturation what make these earrings like no other set. 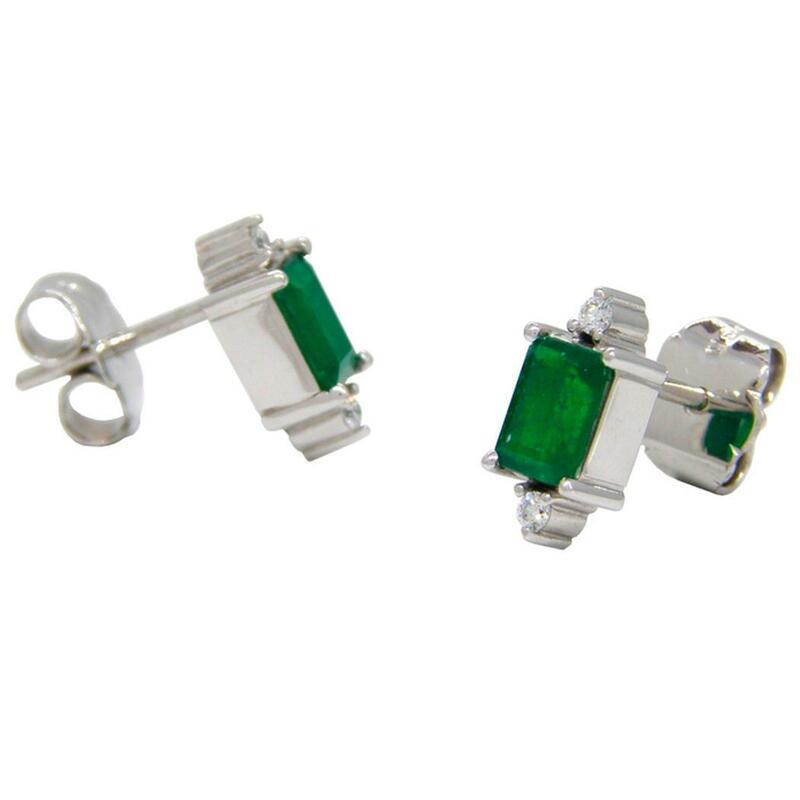 These wonderful emerald and diamond earrings are also available in yellow gold.